Sober Look: Are fixed income ETFs the new "securitization" product? 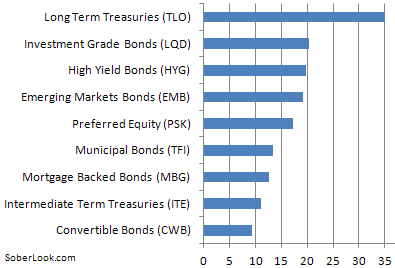 Are fixed income ETFs the new "securitization" product? Larry Fink of BlackRock must be cracking open the Champagne again. The BlackRock junk bond ETF (HYG) has hit another record in shares outstanding. 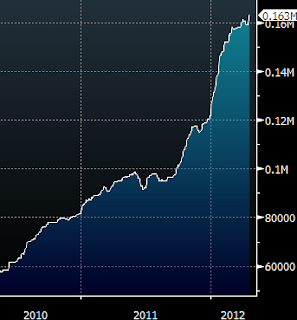 HYG market cap is now approaching $15bn, generating substantial fees for BlackRock. And Fink's banker friends should be quite happy as well. Not only do they make money creating new HYG shares and capturing the premium, but HYG and other HY ETFs are gobbling up new issue HY bonds at record low yields, generating fees for banks. Plus all the brokerage fees, advisory services, and custody. The sausage factory is in full swing. 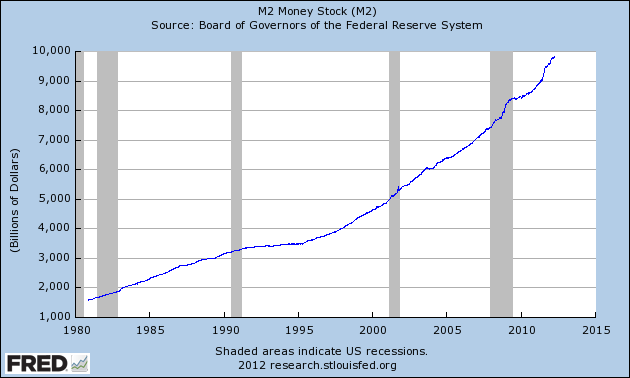 Wall Street has found the new "securitization" machine - with or without leverage. BW: There's no relief in sight for those feeling overwhelmed, as a wave of new fixed-income ETFs reaches investors. Until recently, bond ETF pickings were pretty slim, but fund giants such as BlackRock are busy slicing and dicing fixed-income securities into tightly targeted offerings. Since 2009, the number of bond ETFs has risen from 52 to 191, and more wait in the wings. 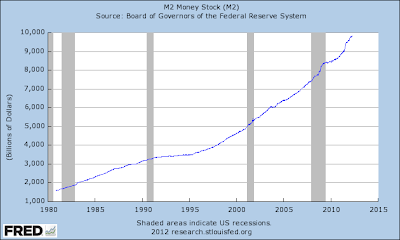 As liquidity continues to increase (see M2 chart below - nearing $10 trillion) and rates stay near zero, demand for this product is climbing rapidly. Maybe it is time to ask the question: are we building another bubble with fixed income ETFs? Fixed income historical ETF performance has certainly been very good in the past two years, but it is clearly a key area to watch for signs of "froth". 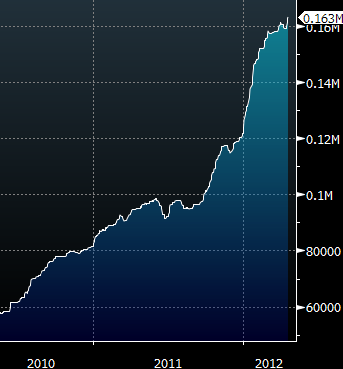 In the mean time retail cash continues to flow in, with $125mm coming into HYG on Friday alone. 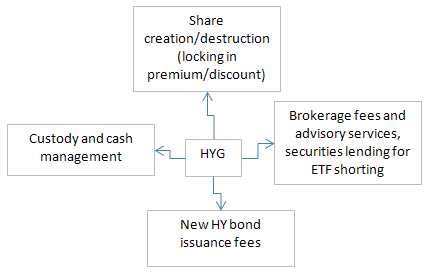 HYG advertises around a 7% yield to maturity, attracting retail investors chasing yield. But the actual yield will be considerably worse because a number of bonds are expected be called and refinanced at lower yields ("yield to worst" is much lower than yield to maturity). Expected returns are shrinking as they did 7 years ago with structured credit.